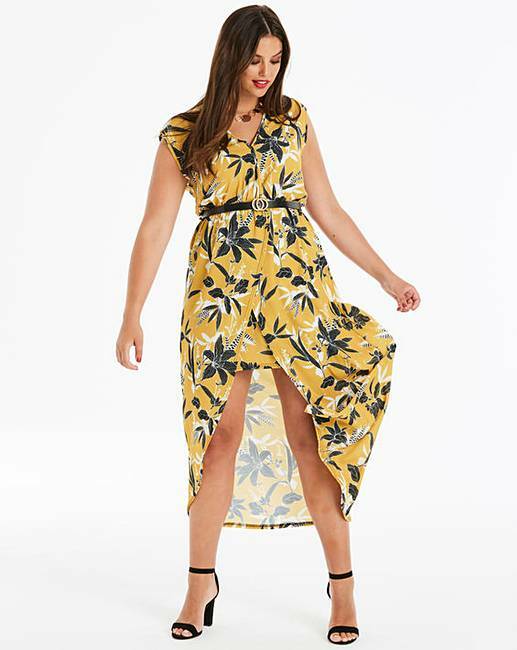 Quiz Curve Floral Printed Wrap Dress is rated 2.3 out of 5 by 4. 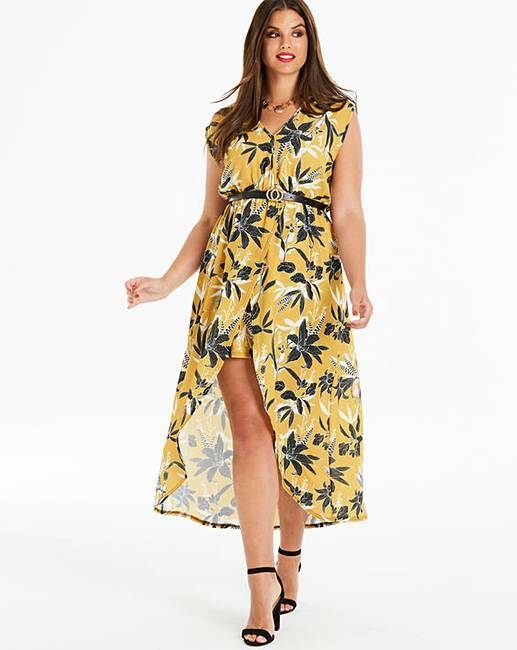 This gorgeous floral print midi dress by Quiz Curve will brighten up any rainy day. This ochre based print features a flattering front wrap, with cap sleeves and deep V-neckline. This high/ low dress gives just the right amount of coverage ensuring you stand out for all the right reasons. 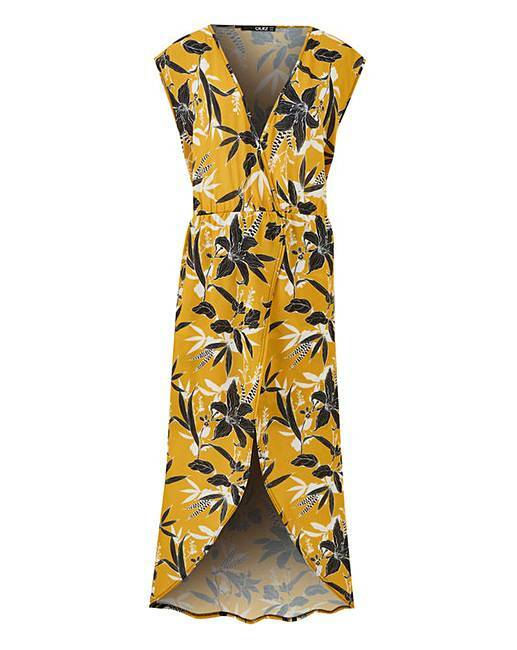 Rated 4 out of 5 by Gem7 from Beautiful dress Bought this for my holiday. Good fit although the neck line is very low and too revealing compared to the photograph so i will have to use safety pin or sew this. Good value for money. Will definitely add a black belt to dress it up. Rated 1 out of 5 by Asm1968 from Poor fitting I brought this as I lover the colour and style but was very disappointed with the front cross over part as it did not cover my chest.